Gym quotes: Friday night. In the gym. 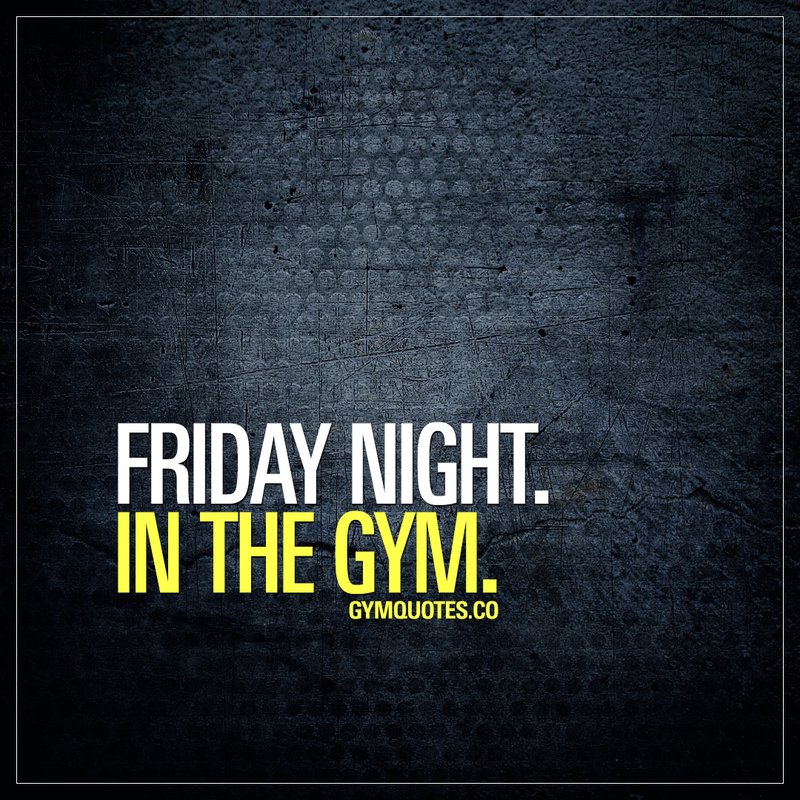 This quote is for all of us that prefer to go to the gym on Friday nights. For all of us that LOVE training and love to lift some heavy weights on Friday nights. If you spend your Friday night in the gym, then this is the quote for you! Share this gym quote with someone you want to inspire!